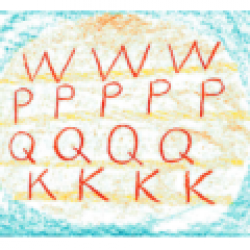 It is important to note that these kits are meant to be used with the Christopherus First Grade Curriculum. They do not come with their own project directions. 1 skein farm yarn, worsted weight, approx. 200 yds. We are excited to partner with Ewetopia Fiber Shop to provide a much requested first grade handwork kit! The ladies of Ewetopia, Kathryn Ashley-Wright, and Lisa Ashley, have pulled together all the materials needed for the handwork projects in our first grade curriculum package. Excellent quality natural fibers and materials are included. 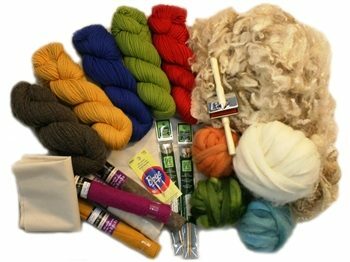 This Kit is perfect if you are new to knitting and fibers, or don’t have a well-stocked, local yarn shop in your area. Ewetopia is a natural fit for this venture as their lovely shop is located right here in Viroqua and co-owner, Lisa Ashley, worked closely with us in developing the first grade handwork curriculum, contributing many of handwork projects as well as guidelines and photography. This complete handwork kit includes all you’ll need to complete the projects in the Christopherus First Grade Curriculum. This mini handwork kit is a modified version of our standard First Grade Kit. All of the same quality natural fibers and materials are supplied, just fewer items.